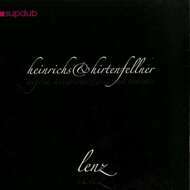 In order to celebrate the prevailing mood of the album, Heinrichs & Hirtenfellner aptly release Lenz this Spring in May (2013). This nature expedition will be shot out into the spring-like electronic music landscape via their own Label: Supdub Records Berlin. The initial release will be vinyl only, endowed with eight out of the eleven tracks, with the complete record to be released as a digital album, available for purchased on Beatport at a later date. Various live performances and a frisky record release party are also planned to mark this milestone for the duo.